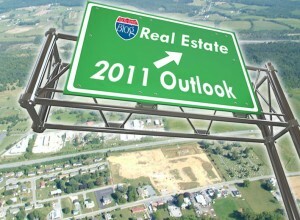 The big question for both home buyers and real estate investors is; What is the 2011 real estate market outlook ? Many predictions are being thrown about, butboth home buyers and investors need to consider the sources of these predictions before taking them too seriously. Remember the national media in 2005-6 was still bullish on the real estate market. In fact when they where writing those positive predictions the real estate bubble had already burst. One thing for sure opportunities will be abundant for savvy buyers as supplies of homes continues to outpace demand in many U.S. real estate markets in 2011. The consensus of many of the experts making predictions on real estate markets is that we are at or near bottom. 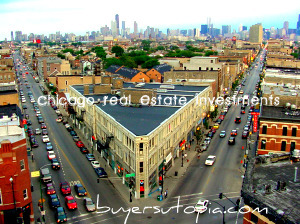 For investors that focus on residential real estate investment opportunities the key in 2011 will be to stick to the fundamentals of positive cash flow in making acquisitions. Investors that do not bank on appreciation in making residential investment property acquisition decisions and focus on cash flow can do very well in 2011. Economic analysts from Standard and Poor’s have made the prediction that home prices will drop another 7 – 10 percent in 2011. Here again, the usual suspects are cited as being the cause for the potential declines — unemployment and inventory. S&P credit analyst Erkan Erturk said that the price declines at least seem to be slowing, when compared to the last two or three years. 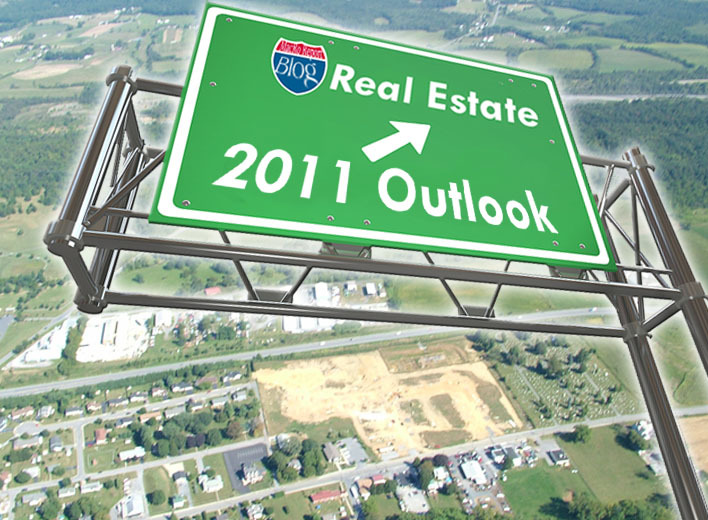 A report from Forbes predicts that home prices may fall another 20% in 2011 before a nationwide housing bottom is reached. Chief Moody’s Analytics Economist Mark Zandi says that home prices will continue to decline but not as sharply as Forbes suggests. He predicts approximately an 8% decline through the third quarter of 2011. An article in TIME Magazine reiterates the same predictions made in The Wall Street Journal although they say that real estate markets will not recover until as late as 2013. TIME Magazine remains bearish on the real estate market and that the housing bottom may not have been reached quite yet but that it’s almost there. Chief Economist Stan Humphries from online Real Estate site Zillow agrees with TIME and the Wall Street Journal regarding the impending bottom of the housing market. Stan suggest that the rebound will be slow although he doesn’t offer a prediction for a specific date when the real estate market will be back on track. 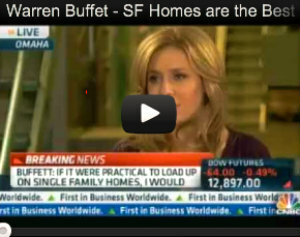 Last year billionaire investor Warren Buffet of Berkshire Hathaway wrote a letter predicting that the housing market woes would be behind us by 2011. He may have spoken too soon according to some of these other sources, however Warren always as some keen insights so it will be interesting to see how this plays out.